There is mainstream rock and roll, then there is Frank Zappa, then on the outer edge is Captain Beefheart, and finally beyond that is Wild Man Fischer. Larry Wayne Fischer, 1944-2011, was schizophrenic, often homeless, intermittently hospitalized, an early crony of Frank Zappa, and one of the oddest and most eclectic practitioners of rock music to ever enter a recording studio. His music follows a stream of consciousness approach rather than set structures. While some of the songs had structures and melodies develop over time, many did not. The material runs the gamut from catchy to annoying to funny to incomprehensible. “The Mope” and “Merry-Go-Round” are about as accessible as Fischer gets, while tracks such as “Circle” are historically interesting for being backed by Frank Zappa and The Mothers Of Invention. However, when you encounter performances such as “Monkeys vs. Donkeys,” “Wild Man On The Strip Again,” “Larry And His Guitar,” and “Why Am I Normal,” you realize that you have followed him to a rarely traveled place. One negative aspect of the release is the sound quality is not a huge upgrade over the vinyl release, which is a shame given the remastering technology of today. Zappa and Fischer would quickly go their separate ways, mainly because Zappa couldn’t deal with his idiosyncrasies. What they left behind is this documentary of not only Fischer the musician but also Fischer the person. It is probably one of the most personal albums you will experience but not always in a good way. 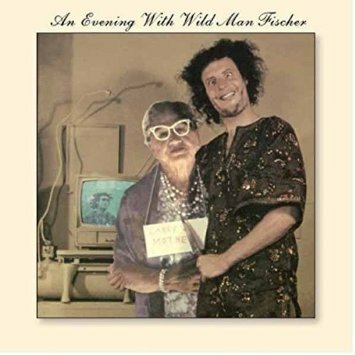 Wild Man Fischer was and remains a cult figure. His music was so far outside the commercial mainstream, that he had little success during his lifetime. While it is nice to have An Evening With Wild Man Fischer back in print, it is still a challenge nearly half-a-century later. Only for the brave or who want something really, really, and I mean really different. Moments In Time is a companion album to the recently released Getz/Gilberto ’76. During May of 1976, Stan Getz and his backing trio spent a week at San Francisco’s Keystone Korner Jazz Club. What made his stay so unique was his ability to coax reluctant live performer Joao Gilberto on stage to perform. Joao and Gilberto would perform together in the middle of the group’s set. The beginning and the end of the performances would just be the Stan Getz Quartet. The first release covered the duo together and focused on their Bossa Nova work of a decade earlier. Now, the performances of saxophonist Getz, pianist Joanne Brackeen, bassist Clint Houston, and drummer Billy Hart are presented for the first time after sitting in the vaults for nearly four-decades. Getz without Gilberto returns to a more straight-forward approach. He was about to enter one of the most creative periods of his career and these tracks show a mature musician practicing his craft with a group of musicians who were talented but who would rarely play together again as a quartet. Tracks such as “Summer Night,” “The Cry Of The Wild Goose,” “Con Alma,” and “Morning Star” all find a relaxed Getz telling a story with his music. 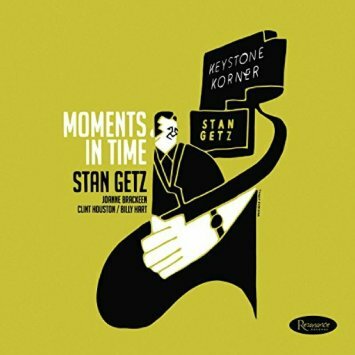 Moments In Time is an apt title as it presents a glimpse of a jazz master at his live best. Before Van Morrison became a Knight of the British Empire, and before he won the first of his six Grammy Awards, and before he was inducted into The Rock And Roll and Songwriters Halls Of Fame; he was the front man for one of the grittiest rock/blues bands of the British Invasion era. 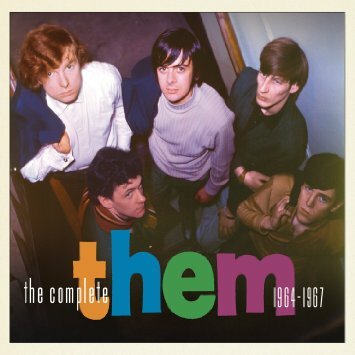 Now their entire recorded output has been reissued under the title The Complete Them 1964-1967. It contains all the tracks from their two albums, demos, alternate versions, and a number of live performances. It all adds up to their entire catalogue of 69 tracks, which are spread over three discs. Everything has been remastered and the sound emerges with a clarity missing on the originals but beware that many of the tracks have been reissued in all their mono glory. Van Morrison provides a five page essay, which lends an authenticity to the project. The live tracks, taken from the BBC’s Saturday Club give the best look into the heart and soul of the band. They were primitive and raw and can be clarified as a basic garage band playing blues material. In their favor was the fact they did it better than most of their contemporaries, plus their approach and sound set them apart from the smooth sound of the Beatles, Dave Clark 5, and other British bands who invaded America during the mid-1960’s. 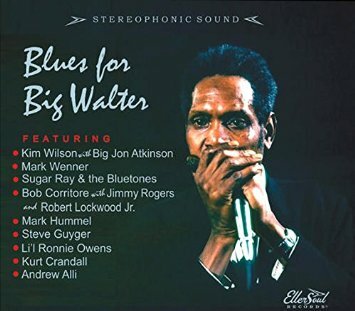 As with many studio albums recorded during the 1960’s, you get the good with the bad. When the material is right, they produce energetic music that holds up well. In addition to their hits, tracks such as “Baby Please Don’t Go,” “I Put A Spell On You,” “If You And I Could Be As Two,” “Baby What You Want Me To Do,” and “Storm Monday Blues” explore a side of 1960’s British rock that rarely crossed the Atlantic ocean. On the other hand, when they strayed from their basic approach, they results were less successful; “Richard Corey,” “Friday’s Child,” and “(Get Your Kicks On) n Route 66” being examples. The song that always attracted me to the band is “Mystic Eyes,” which lyrically and rhythm-wise was very different from everything else that came out of Great Britain at the time and provided a good look toward the creative approach, which would dominate Van Morrison’s solo career. The Complete Theme 1964-1967 is a long overdue tribute to one of the sometimes under-appreciated bands from the 1960’s. Not only was it the training ground for Sir Van Morrison but is also provided the foundation upon which rock and blues fusion was created. J.D. 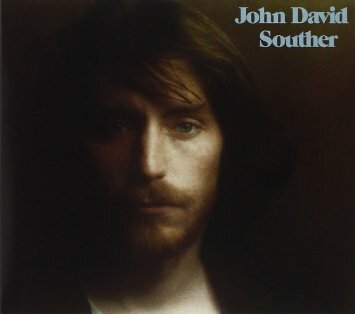 Souther’s career began when he moved to California, took up the guitar at the age of 22, and formed a band with Glenn Frey. They may not have had any commercial successes but by the early 1970’s they were both signed to the new Asylum label; Frey as a member of the Eagles and Souther as a solo artist. His self-titled 1972 debut album was typical of that he would release for the rest of his career; Home By Dawn being the one exception to the formula. He was and is an artist who helped define the early country/rock era. The Eagles were part of the early movement but emphasized the rock element while Souther took a more gentle approach. The writing style, which would lead him into The Songwriters Hall Of Fame, was already beginning to emerge as his incisive and storytelling lyrics were set to smooth up-tempo rhythms and aching ballads. He is always at his best when he travels in an upbeat direction. “Run Like A Thief,” “Jesus In ¾ Time,” “Kite Woman,” and “Some People Call It Music” are placed in a row on the album and their catchy melodies and toe-tapping beat helped establish the country/rock fusion style of music. They would set the stage for his brief foray into rockabilly a decade later. 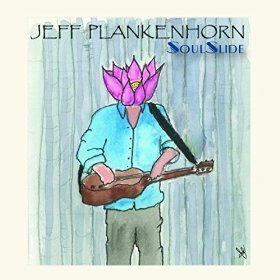 It is his ballads that have been covered by dozens of artists, most prominently former girlfriend Linda Ronstadt and the Eagles. The second half of the original release was a counterpoint to the first as “It’s The Same” and “Out To Sea” were the first to establish him as a first rate balladeer. The album closer “Lullaby” is just his voice and guitar in a sparse and satisfying performance. Six of the seven bonus tracks are demo versions of completed tracks that are interesting only for those interested in his creative process. The seventh, “Kite Woman,” is an alternate version of the song contained on the album. Sarah Vaughan, Billie Holiday, and Ella Fitzgerald are considered the three finest female jazz singers of the 20th century. Vaughan tended to be the most mainstream of the trio and enjoyed a career of nearly 50 years. Her greatest commercial success took place in the 1940’sand 1950’s when she placed dozens of crossover hits on the Pop Charts. During the 1960’s through the 1980’s, she was constantly on the road as a top attraction in night clubs and concert halls all across the country. When she performed at Rosy’s Jazz Club in New Orleans on May 31, 1978; her almost operatic voice had lost none of its power and appeal. It could soar and purr at will as she interpreted a number of songs from the Great American Songbook. The music from that New Orleans concert is now available for the first time. While Vaughan performed with many backing configurations during her career, she was always the most comfortable and vocally adept when backed by a basic trio. Here pianist Carl Schroeder, bassist Walter Booker, and drummer Jimmy Cobb provide all the backing she needs for her 90 minute performance. The sound is clean, especially for a recording nearly 40 years old. There is a 36 page booklet with essays, photos, and interviews that give a complete picture of the concert and Fitzgerald. The participation of surviving band members Cobb and Schroeder lend an authenticity to the affair. It is ballads that defined the musical approach of Vaughan. She would slow them down, improvise along the way, and allow her voice to do the rest. During the 1980’s “Send In The Clowns” was her concert closer and here we find it as a work in process. It would ultimately be extended into a spectacular and intricate performance but here it is presented in a formative stage but it still clocks in at six minutes. The classic “My Funny Valentine” is another song that has a number of ebbs and flows as it travels to a dramatic finish. 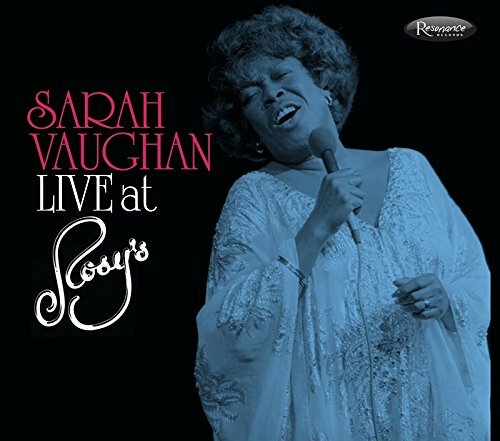 Throw in the molten “I’ll Remember April,” “Time After Time,” “I Got It Bad (And That Ain’t Good),” and the creative “Sarah’s Blues” and you have a fine representation of Sarah Vaughan at her concert best. Sarah Vaughan will be honored by the United States postal service on March 29th when a commemorative postage stamp will be issued in her honor. This concert also bears her unique stamp and is another tribute to her legacy. You are currently browsing the Muskmellon's Blog blog archives for August, 2016.